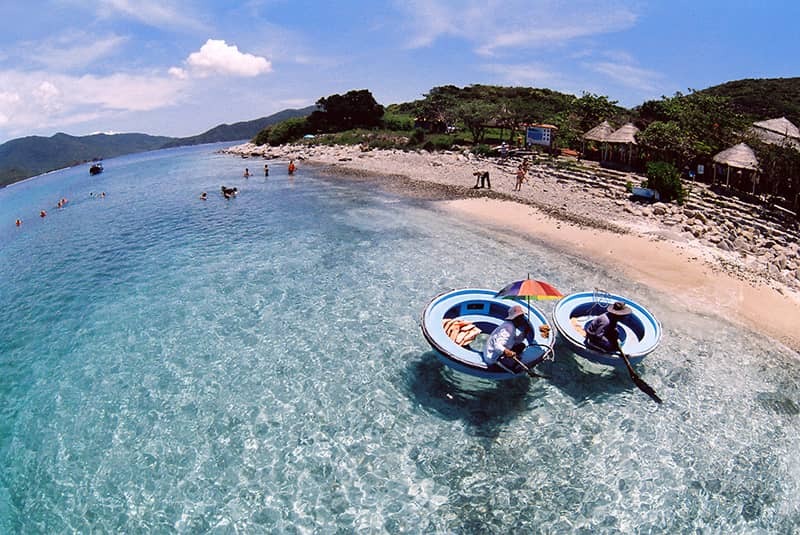 Just 10km away and 45 minutes of on boat travel from Cầu Đá Harbor, Nha Trang City – Mun Island Nha Trang (Hòn Mun), a true natural heaven, hides within the mesmerizing beauty that any traveller will totally fall in love with. So what do you expect when making your trip to Mun Island? With the natural location near the hot ocean current from the equatorial line and special sea bottom terrain, Mun Island is an ideal “home” that Mother Nature provides to a tremendous amount of marine creatures. Especially, the coral reef in Mun Island is the treasure that hard to be found elsewhere around the world. Among 2000 coral and aquatic species that are found globally, Hòn Mun already has with it 1,500 species. This is absolutely a must-go destination for not only tourist, travellers who want to escape from the modern life of Nha Trang city but also a perfect landing site of scientific activities. Do not think you only can go to Mun Island and lay back under the warm sunshine and a cold fresh coconut next by. This island is a real paradise for adventure lovers – You can enjoy a snorkeling or diving tour at Mun Island, where you can observe and feel the beauty of the ocean life by your own senses, not through a thick glass wall in the marine park aquarium. It’s time to put on the wetsuits, diving mask and start your journey to the first marine reservation park of Vietnam. You will find yourself comes so close to nature when a colourful fish swims next to just like it wants to say “Hello” or get lost for a while in the colourful coral reef. All the daily stress is zero when you are here! 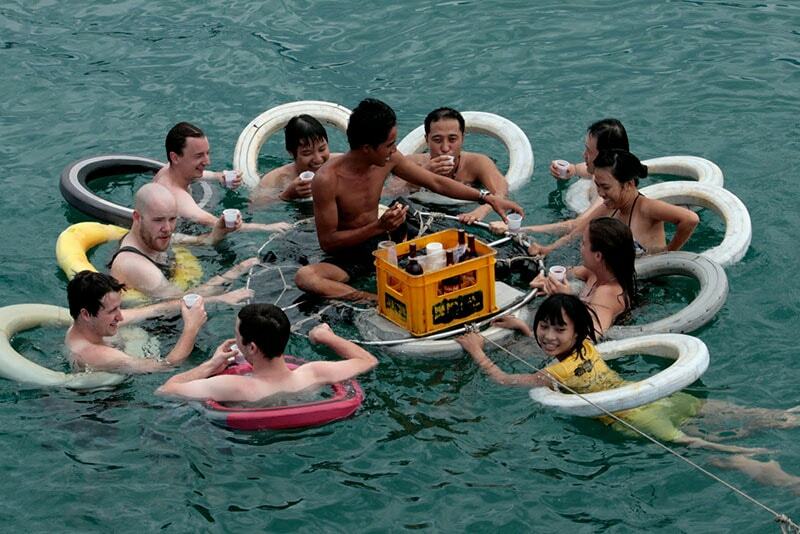 After exploring the life under the water, now let’s join one of a unique floating bar you hardly find all over the world – A bar in the middle of the sea, literally in the middle of the sea, not on any boat or ship if you might think so. Everyone will have a life preserver ring, and in the center will be a bartender, who not any less skillful than any bartender in a high-class bar you have seen before, and ready to serve the best tropical mix your tongue has ever experienced. This is totally a once-in-a-lifetime chance that any traveller should have been experience. 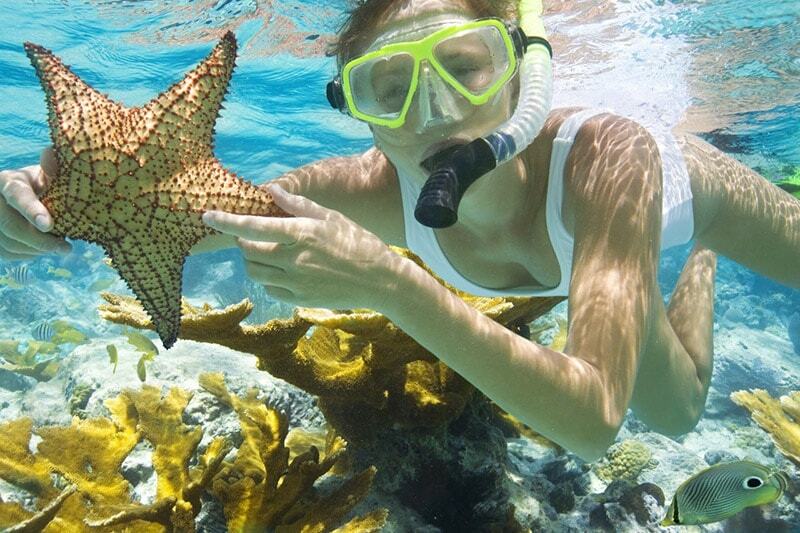 Last but not least, if you don’t want to be wet in water, having a seat on the glass-bottom boats and go observing the life under the water surface will make sure all of your stress and worries are washed away. We ensure Mun Island would makes your trip to Vietnam becomes extraordinary with all the best and most beautiful memories.